10-pack threaded ceiling mount for quick installation under ceiling tiles. Compatible with cameras with standard 1/4"-20 UNC tripod thread. Total length 80mm (3") with thread length 65mm (2.5"). 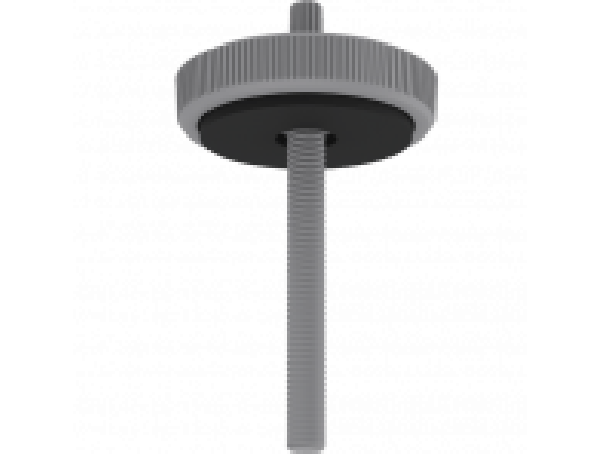 Threaded rod in nylon, counter nut with friction pad. 10-piece bulk pack.